Planning a move within the Columbus, Ohio area? Let the Columbus household goods movers at EE Ward Moving and Storage make it easy. When relocating families and storing their personal possessions, we specialize in providing an unmatched sense of comfort and security. In fact, after 136 years in business, we have become the furniture movers Columbus, Ohio customers trust to provide quality relocation services for local, long distance and international moves. At EE Ward Moving and Storage, our house packers and movers are committed to making your move process less complicated and more efficient. As a quality local Columbus moving company, we will provide you with a Relocation Consultant who will inventory your belongings and provide you with an estimate by determining your budget, timelines and specific services you will need for your move. From the pre-move plan until the last carton is unpacked and taken care of, EE Ward Moving and Storage can manage every last detail. We pride ourselves on being Columbus residential movers who are focused on the secure transport of your household goods. When you work with us, you can count on our highly trained professionals to go above and beyond the necessary protective measures to ensure your belongings are delivered undamaged. This includes stretch-wrapping furniture to ensure it stays clean and undamaged, along with extra doorway and floor protection. We also offer a wide range of valuation coverage options to make sure you have peace of mind during your move. 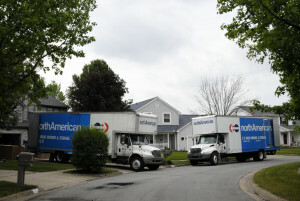 Wherever you are in the greater Columbus area, we can help make your move simple and efficient. We work with clients throughout the community to provide expert local moving. Whether you’re moving from another part of the state to Columbus or relocating within the city, we can help. On top of this, we offer interstate and long-distance moving support. There are lots of reasons why choosing EE Ward Moving and Storage is a smart choice for your move in or from Columbus. We focus on quality, guarantee professionalism, pride ourselves on exceptional customer service, and have more than a century of experience in the field. EE Ward Moving and Storage is insured and bonded in excess as required by the Public Utilities Commission of Ohio (PUCO). Our household movers are full-time moving professionals, and EE Ward Moving and Storage employees are subject to drug-testing and criminal background screening. Want to save money by performing some of the services yourself? Check out our moving tips. Ready to learn more about our local Columbus moving services? Contact us today for a quote!